What were the most popular New Phytologist papers in the news and on social media in 2017? Find out with our infographic below, then scroll down to find out more about each of the papers! 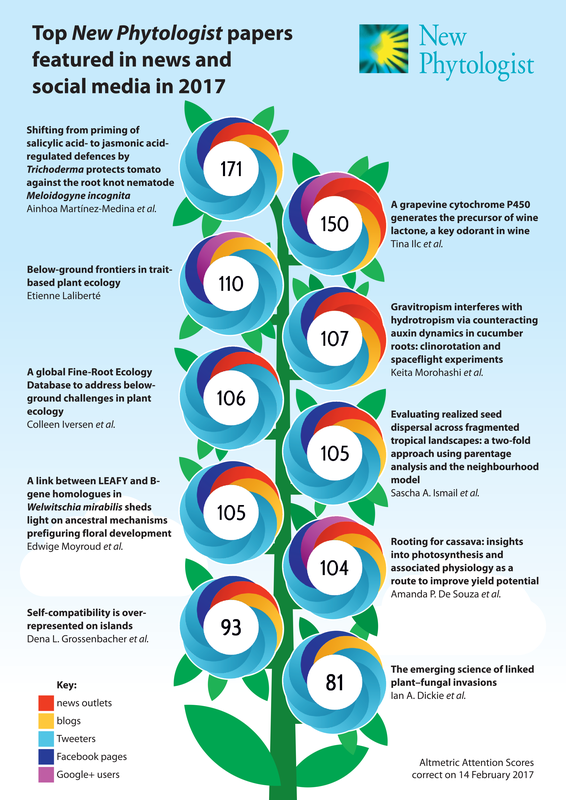 Continue reading on the New Phyt blog to find out more about each of the top ten papers.